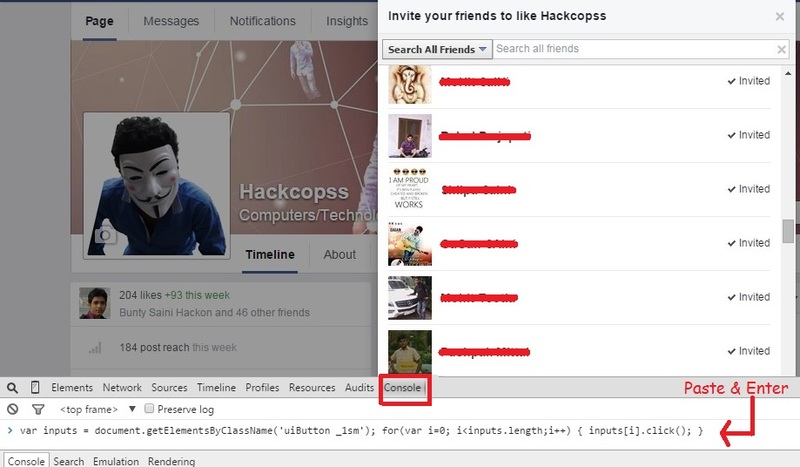 Step 2:- Open the Facebook Page for which you want to invite your friends. Step 3:- Now click on the Invite Friends Button you will get a pop-up from Facebook. Step 4:- Now just Press F12 key from your system and Chrome Console window will automatically open. Step 5:- Finally Copy and Paste the below mentioned Code in the Chrome console Window and press Enter. Here is it, You are done, you have successfully invited all your friends to like a Facebook Page. Comments are invited for any suggestion or query, Thanks for visiting here.